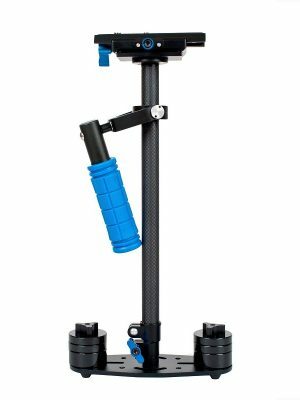 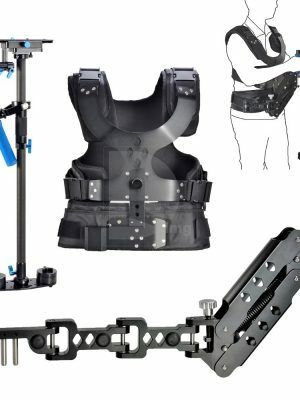 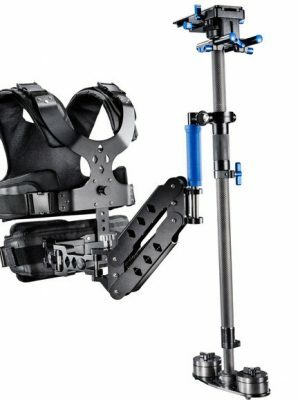 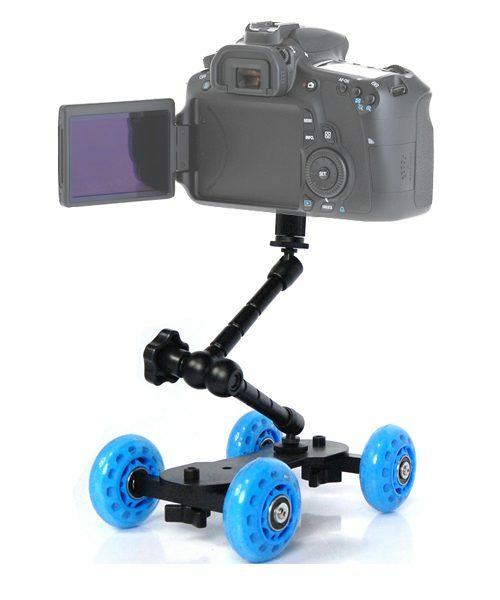 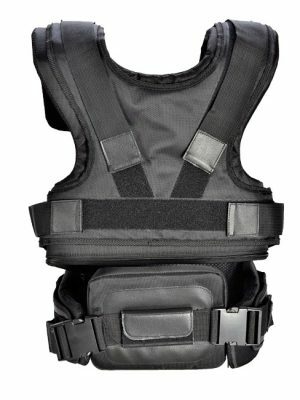 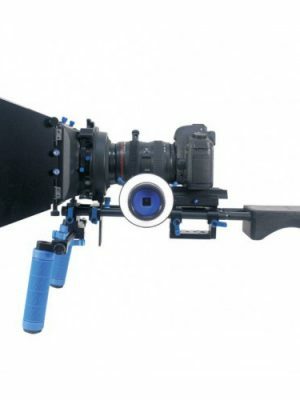 This dolly is specially designed for you to make your own videos with your HD camcorder or video-capable DSLR. 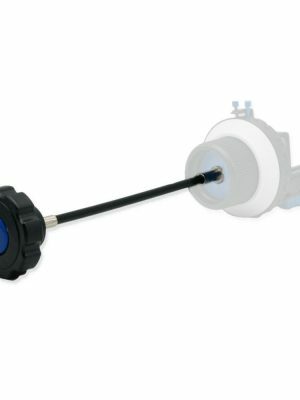 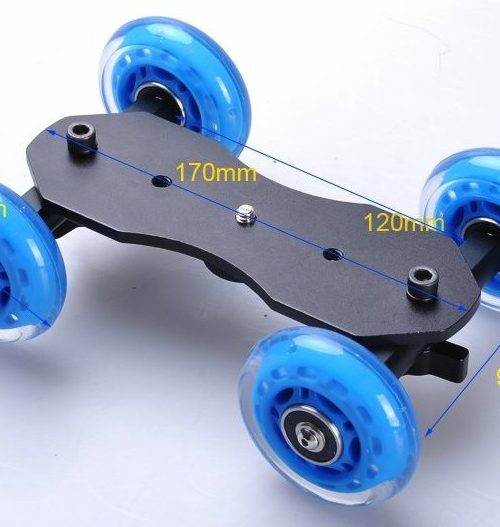 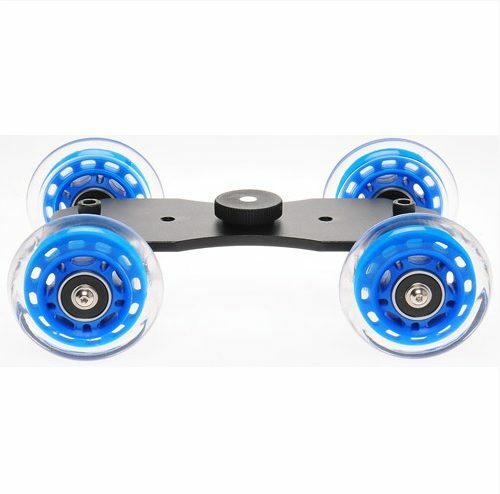 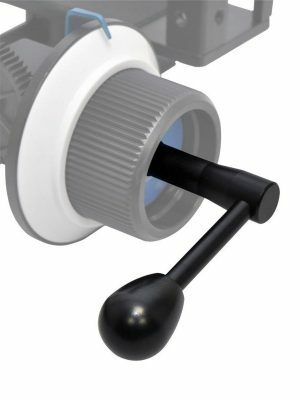 Four 60 mm silica gel wheels make the movement very smooth and quiet, also the movement direction is adjustable. 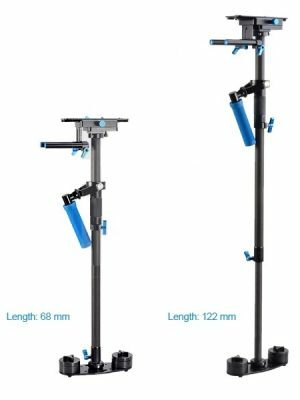 The dolly is Ideal for table shot and video recordings. 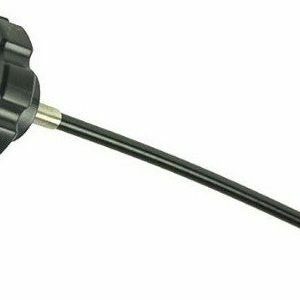 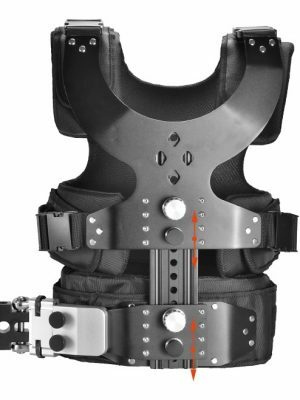 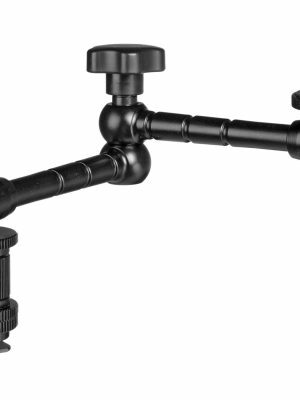 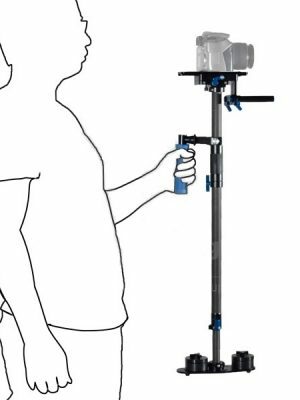 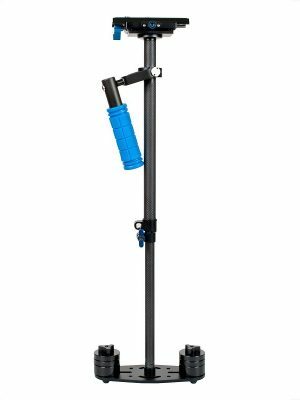 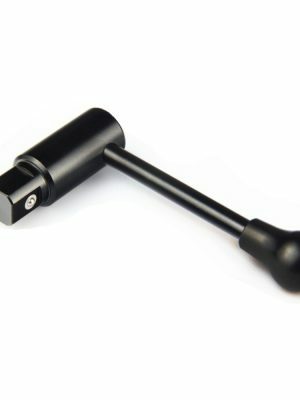 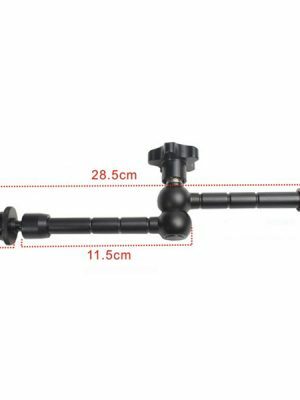 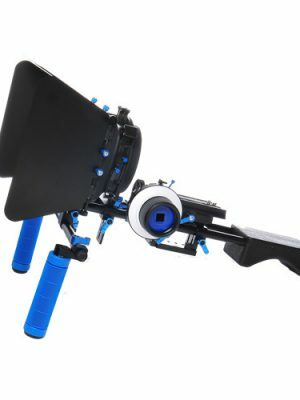 11″ Articulating Arm is also available for $29.99.